Liverpool boss Jurgen Klopp has confirmed that neither Naby Keita nor Jordan Henderson will recover in time to face Cardiff City this weekend. The Reds host their opponents at Anfield on Saturday afternoon looking to continue to set the pace at the top of the Premier League table. 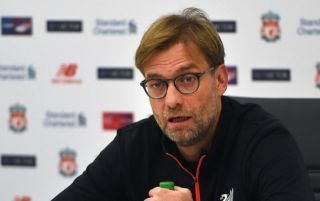 In order to continue to compete on multiple fronts moving forward, Jurgen Klopp will be desperate to have a fully-fit squad to select from as soon as possible, but he will not have that this weekend. As per freelance injury analyst Ben Dinnery’s tweet below, Klopp has confirmed that the Liverpool midfield duo of Keita and Henderson will play no part due to hamstring injuries suffered by both. In turn, that will potentially test their quality and depth, although the Reds boss will be buoyed by Fabinho’s impressive performance against Red Star Belgrade on Wednesday night in the Champions League which suggested that the Brazilian international could be ready to step in alongside the likes of James Milner and Georginio Wijnaldum. Further, with Adam Lallana returning from injury recently too it does give the German tactician options in that department, and so time will tell what he decides to go with as Cardiff will hope to spring a surprise at Anfield. Liverpool remain joint-top of the table with Man City after nine games as they remain unbeaten. It remains to be seen if they can collect another three points this weekend as they look to deal with their injury issues as best they can.